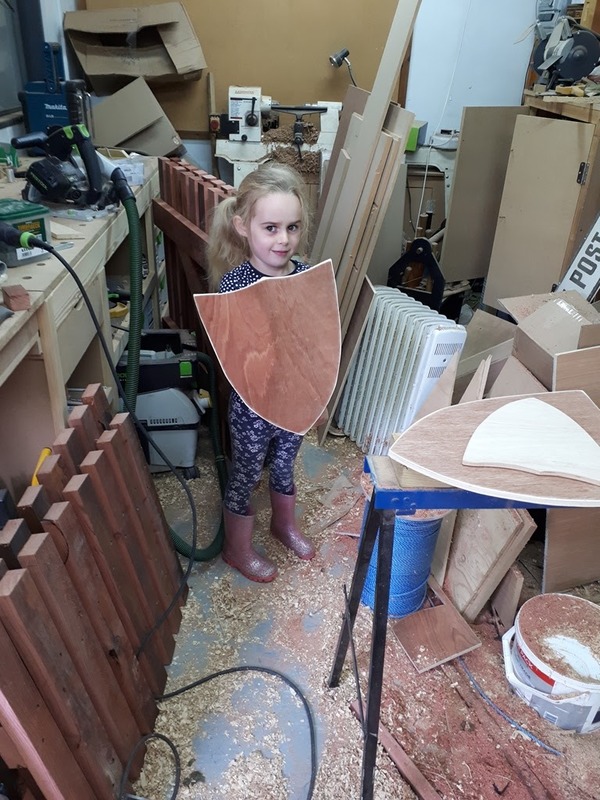 Last month I was making up some gates for the patio in the workshop when my eldest asked if she could help. Not really with that job but I did think they could make something for their selves - a shield! 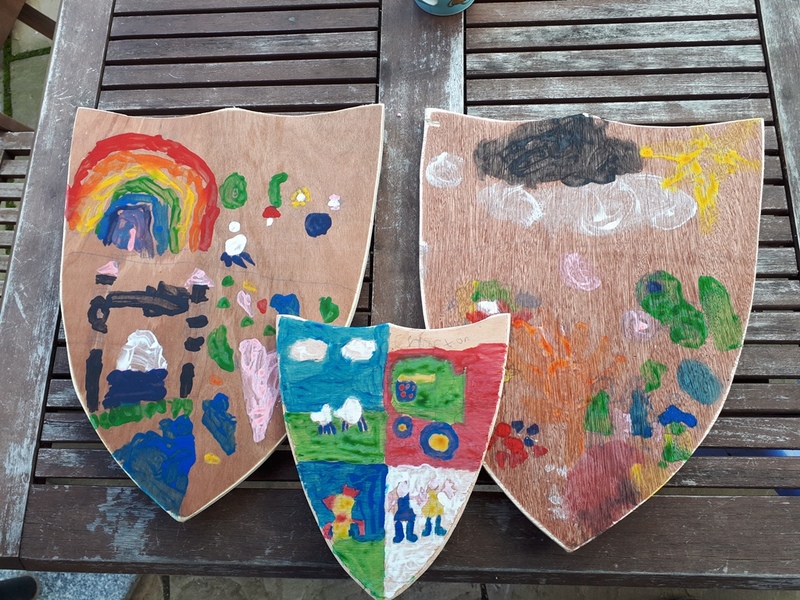 They love play knights so I thought it would be perfect adn a good way to entertain them for a while. 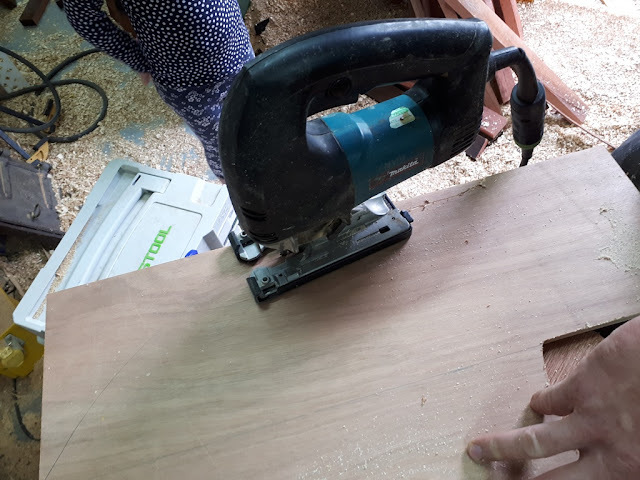 First we marked out the shape on some scrap ply before cutting it out with the jig saw - the girls love wearing earmuff when the power tools are in operation - I keep two sets so they can both have one! Once they were cut out I cut up an old ratchet strap to make a handle and sanded the whole thing smooth. They had great fun playing witht hem, the boys was a bit smaller to make up for his size! They then spent ages drawing out their designs and their own "crest of arms" to display before going into battle! 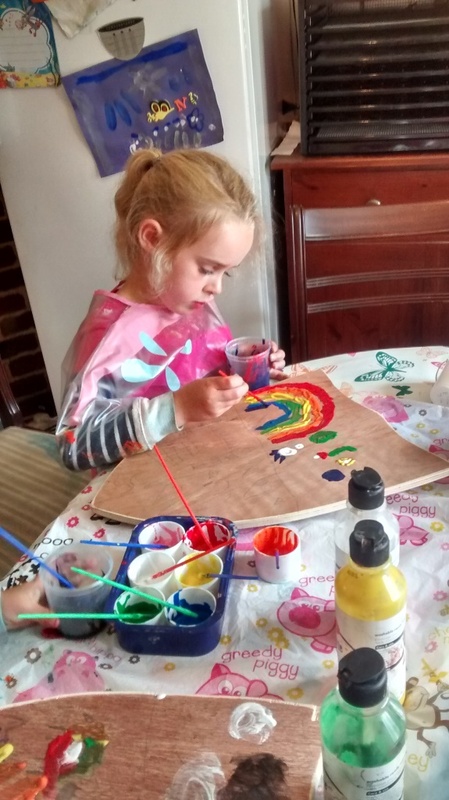 Another afternoons activity out of it when they painted them with mum. 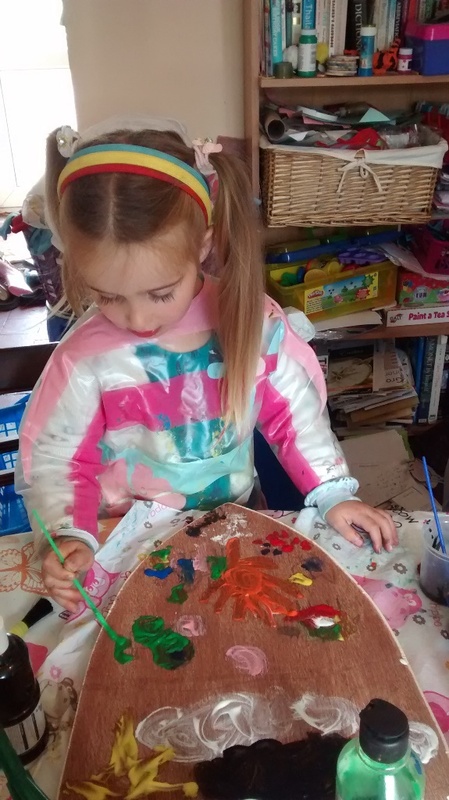 I loved their designs, involving sheep, chickens and tractors on the boys (three of his favourite things to say!). 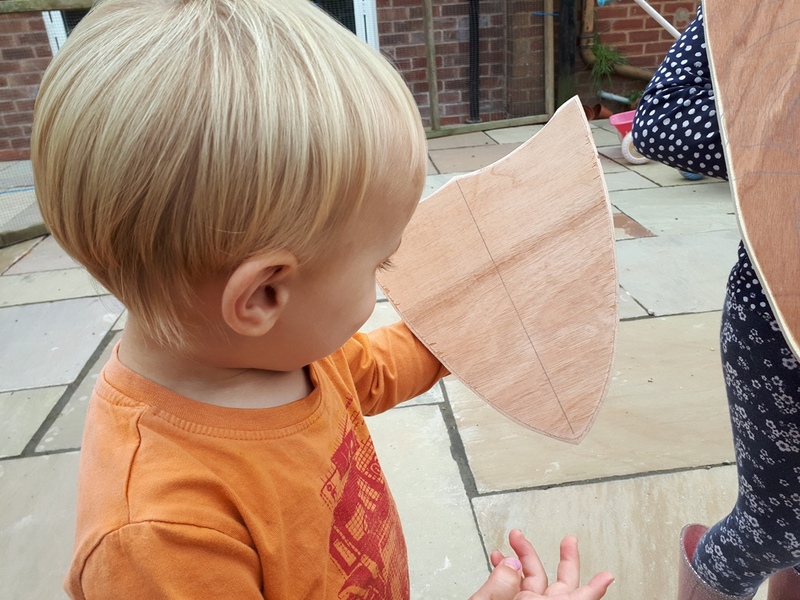 A good fun way to use up a few scrap bits of plywood and a fun thing to do together, they haven't quite earnt their swords yet though. I see the children are following in clever daddies footsteps. The shields are beautiful. They're going to be handy I'll make sure of that! Totally brilliant, your a great dad, your children will have so many skills and wonderful memories. I hope They'll look back on it fondly! They seem to have a slightly bevelled edge to them, was that done with the jigsaw? No, just with sander on the edges. What a great idea and I bet your kids will have endless fun playing knights. what a great thing to do with kids. these are the best kinds of toys. i love their painting!